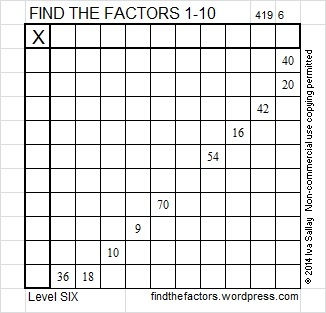 121 is not a clue in today’s puzzle. 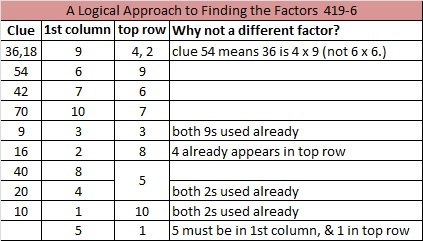 However, when 121 is a clue in a FIND THE FACTORS 1 – 12 puzzle, place 11 in the corresponding cells in both the factor row and the factor column. 121 is a composite number. The exponent in the prime factorization is 2. Adding one we get (2 + 1) = 3. Therefore 121 has exactly 3 factors. 121 = 11². Those digits 1, 1, 2 make 121 the second Friedman number because they can be arranged as a mathematical expression that equals a number that uses those same digits. 121 is not only a perfect square but it is also a star! In fact, games of Chinese checkers will be based on that perfect star. Since 121 is the square of 11, the fifth prime number, it is only the fifth number to have exactly 3 factors. 121 is the sum of the three prime numbers from 37 to 43.
and it’s 321 in BASE 6. 121 is a pretty remarkable number!